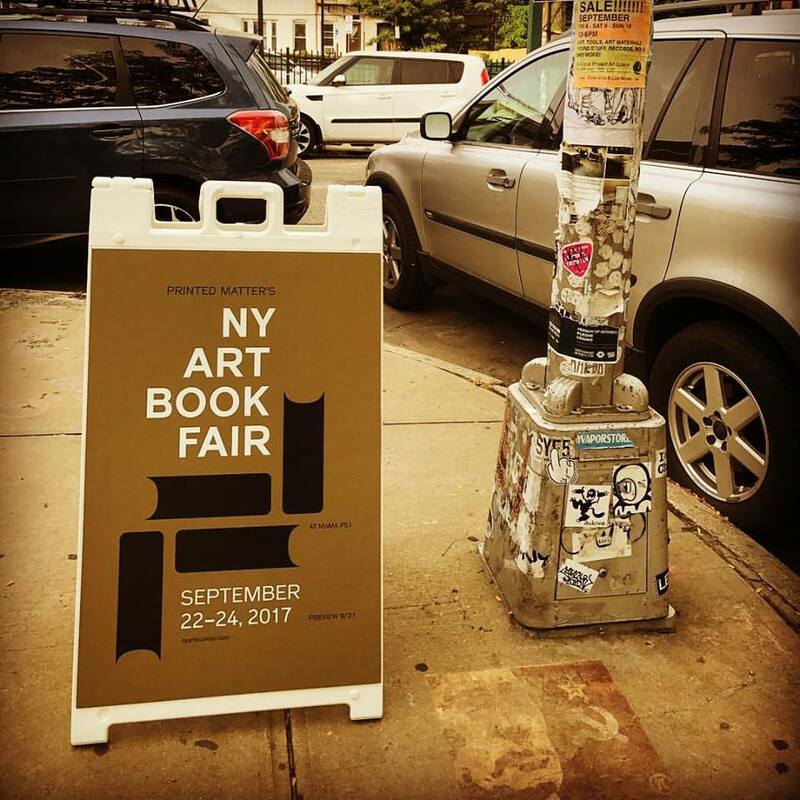 The New York Art Book Fair (NYABF) 2017 is over. As always, it was total sensory overload. So many books, zines, prints, posters, pins, sculptures, musical performances, jerk chicken, and art lovers! But it was overload in a good way, well mostly good way...it def got WAY too hot in there on Saturday and Sunday but I still had a blast. Everything I loved, bought, thought, and ate below. NYABF 2017 - lets do this! 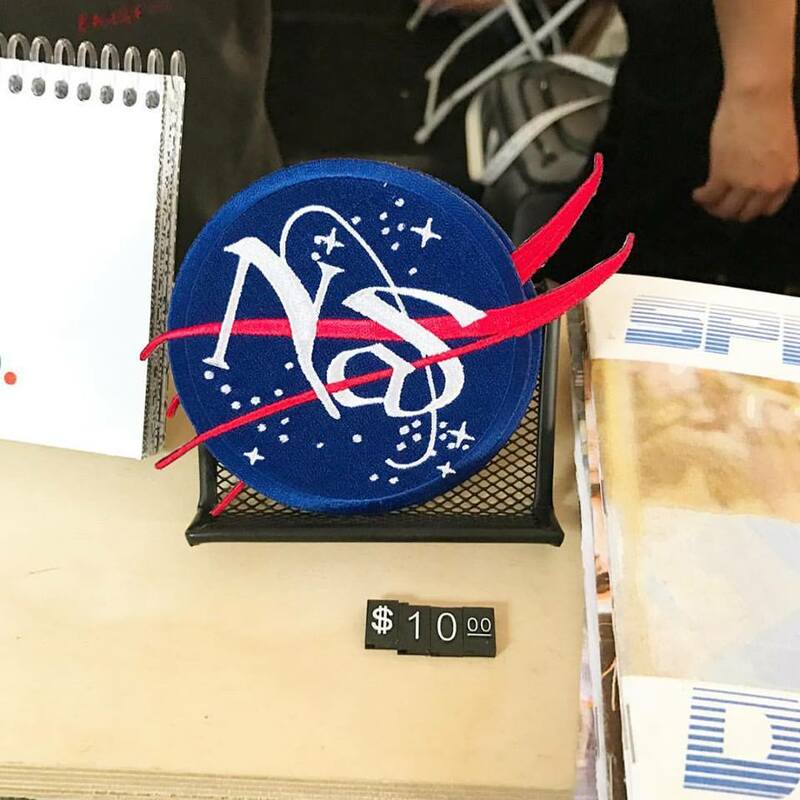 Nas Patch by Shameless Enterprise. On the Endless Edition table. 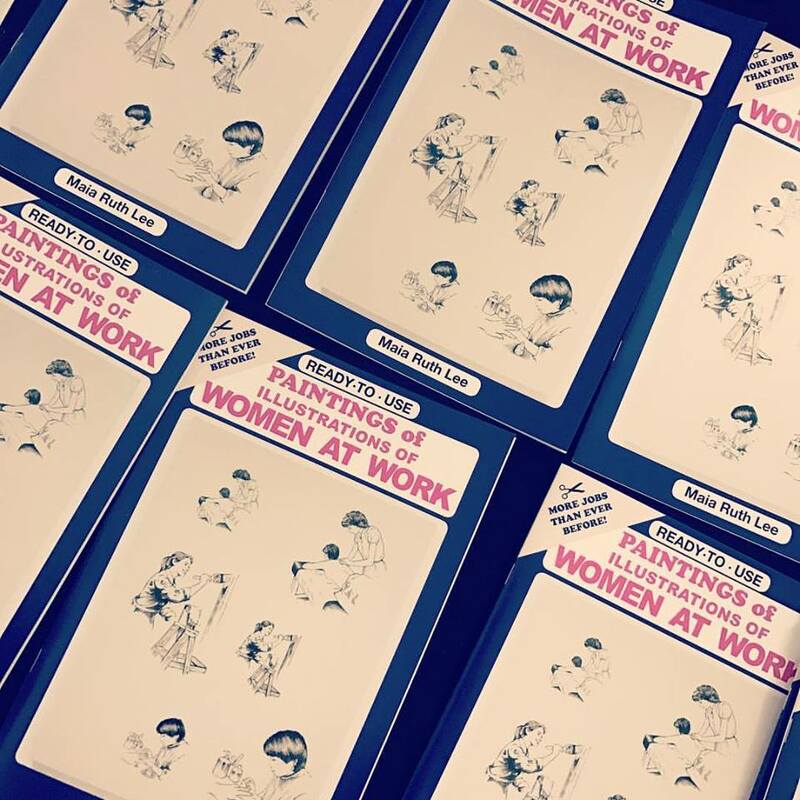 A book of paintings of drawings of women at work by Maia Ruth Lee - lol @ "More jobs than ever"
A curatorial studies degree in a bag! 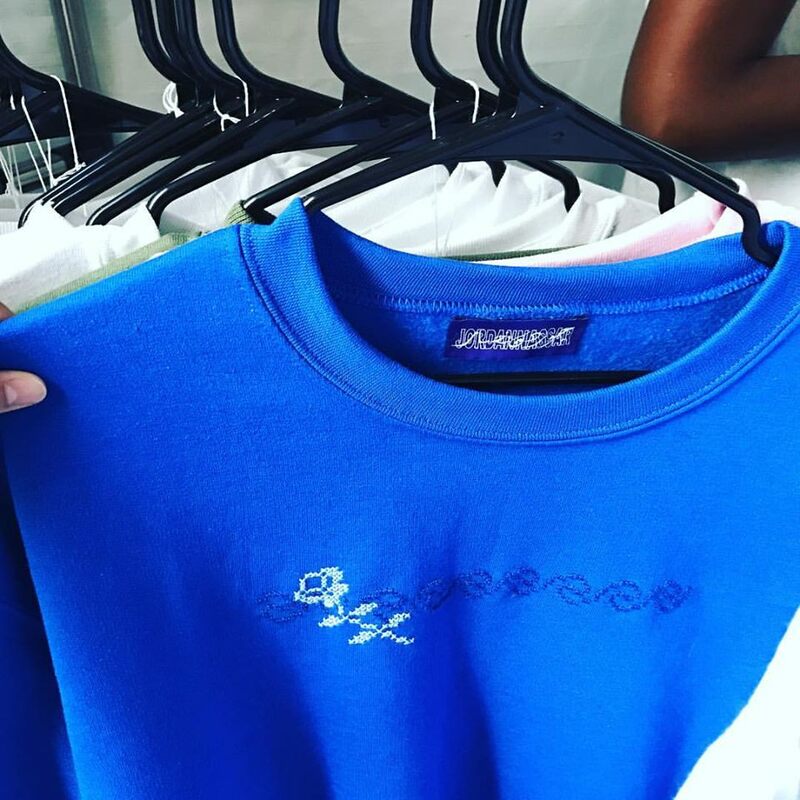 Jordan Nassar Couture sweatshirt ($120): I am OBSESSED with Jordan Nassar's work. I doubt I will ever be able to afford one of his fine art pieces...but his couture line is within reach! (I'll never be able to say that again). He sold out of the yellow sweatshirts on day one so I placed an advance order for one (hence the photo). Walter Benjamin: Recent Writings ($30): Believe it or not I haven't read a SINGLE Walter Benjamin essay. This is unacceptable as he is a très important art writer. Also how beautiful is this book?! Published by New Documents. Diary: How to Improve the World (You Will Only Make Matters Worse) by John Cage (special NYABF price $24): A real life Artist Book! Siglio Press (the publisher) is a personal favorite. I discovered them last year, and bought their Sophie Calle, Suite Vénitienne artist book - I flip through it weekly. 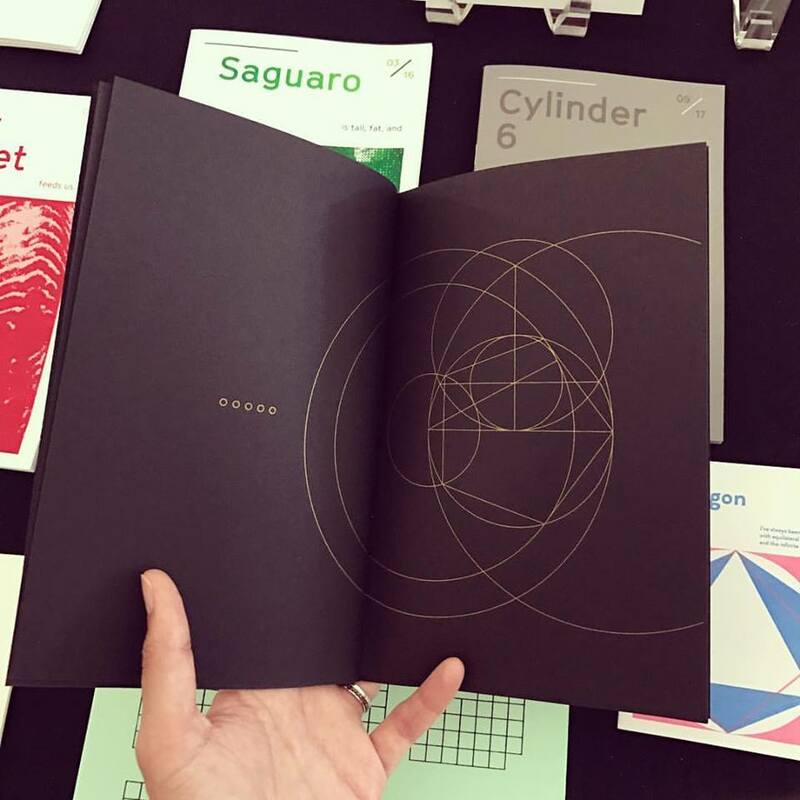 Siglio does a fantastic job of publishing historic and contemporary artist books that are beautiful and affordable (almost impossible). Wondering what the 'background' is in the photo above? It's a poster that Siglio gave away with each purchase! Alongside publishing artist books, the Siglio team does an 'Ephemera Edition' each year. These are "small, inventive collections of simply made cards, posters, broadsides, pamphlets and/or booklets, created in collaboration with artists and writers." 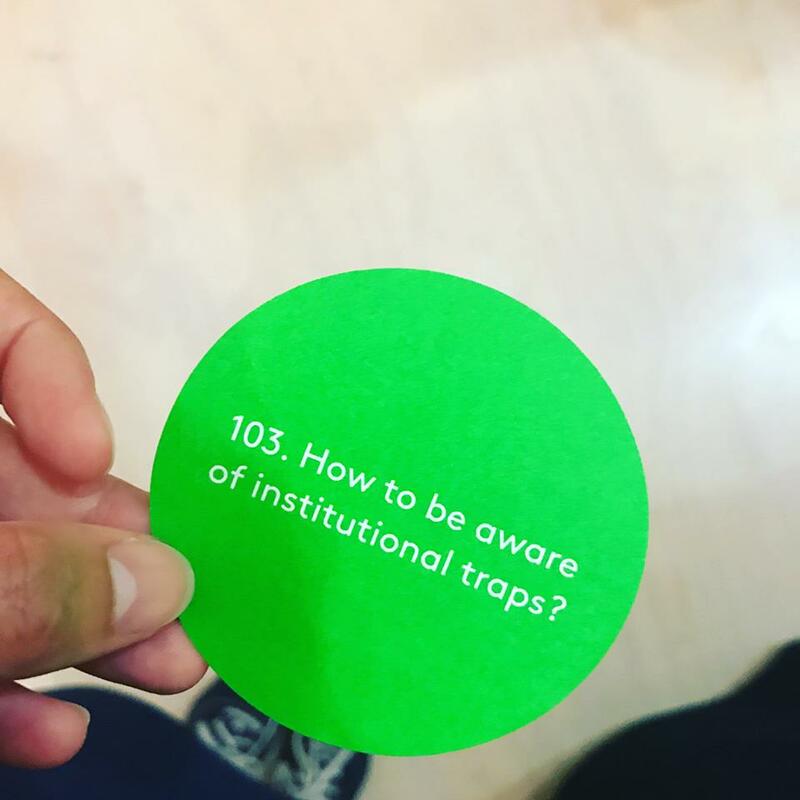 Read more about it here: Ephemera #11. Last year I got a gorgeous set of postcards. Octahanky: Red Edition by Roger Peet of Just Seeds ($15): It's a cotton handkerchief that features one of nature's most intelligent creatures. Need I say more? Also Just Seeds is an awesome org. Look at the whole hanky here. The remaining $11 was spent on a jerk chicken platter - I was too hungry to take a picture. Oh wow! The AC is working this year, yey! Why is everyone walking around with that 'WAS WAR WON' poster...should I get one? I don't get it. Hmm...not as many people at the opening as I was expecting. No Raking Leaves this year...boo. Why are so many of the zines boderline pornographic? Oooo lots of people here today. Wish they would turn up the air. We (artnerds) as a group, might not smell great. I think I'm gonna go full nerd and get a book of essays. There's too many people here! We must be above capacity. omg. I think I'm going to pass out. 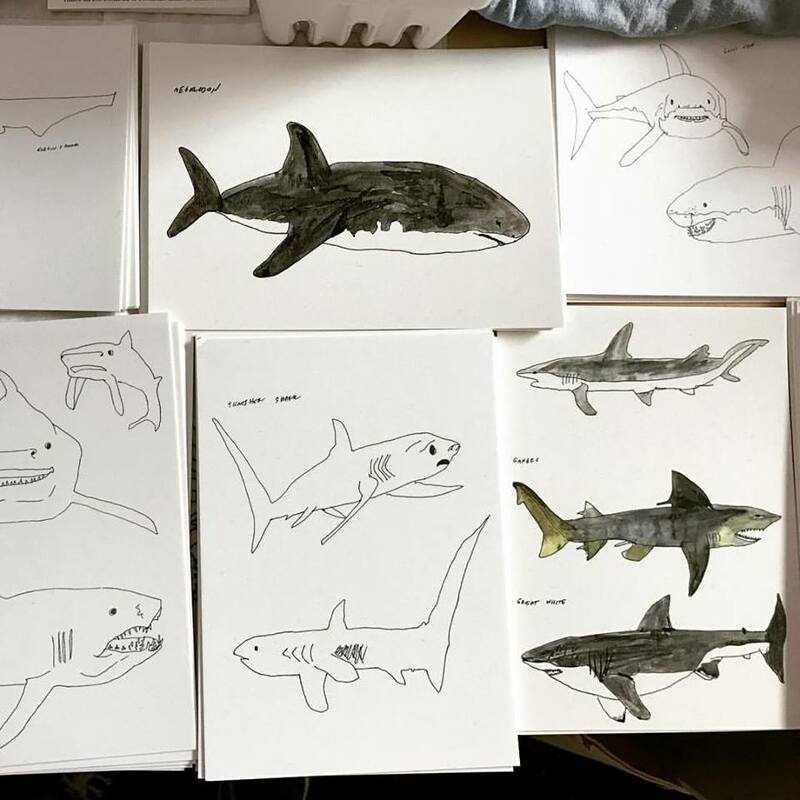 Bring your beachiest self to the New York Art Book Fair at PS1. Fire Island Artist Residency will be here sunning ourselves all weekend long! 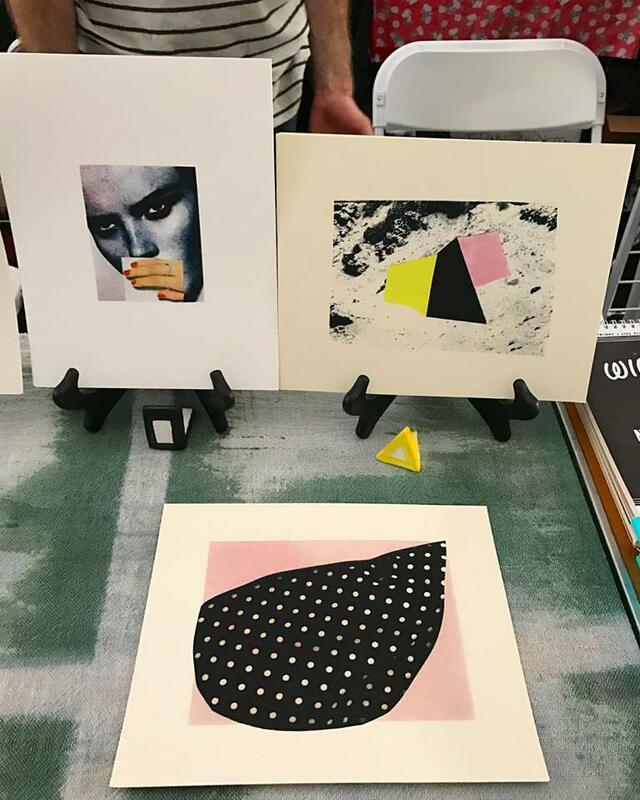 FIre Island Artist Residency is bringing the beach vibes to the @printedmatterinc New York Art Book Fair all weekend long. Come see printed work from our alums! It's the final day of the New York Art Book Fair and FIAR is representing! Come on down and see us!